See Children’s Books Heal blogger Patricia Tilton’s review of The King Cake Baby on her blog for Susanna Hill’s Perfect Picture Book Friday. Check out Books, Food, Animals and Kids Blog by Linda Hurst. She reviews Carnival books here including The King Cake Baby. Hop on over to Miss Marple’s Musings to read her thoughts about The King Cake Baby she selected to review on February 2, 2015 for the 2015 Diversity Reading Challenge. Joanna is a former teacher and school librarian, an author, and blogger. And so much more. Joanna reviews children’s books and interviews illustrators. She too is a world traveler, originally from Europe, who embraces culture and diversity. 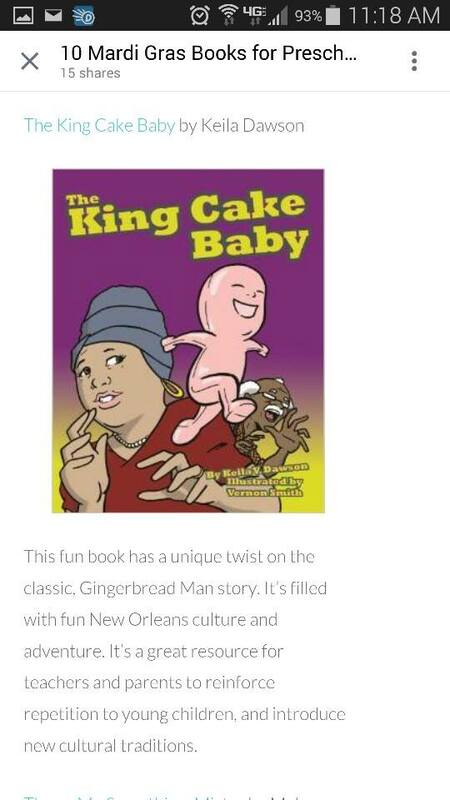 Why thank you Jessica at EXBIBLIOLIBRIS for adding The King Cake Baby to recommended books for kids about Mardi Gras on her blog!